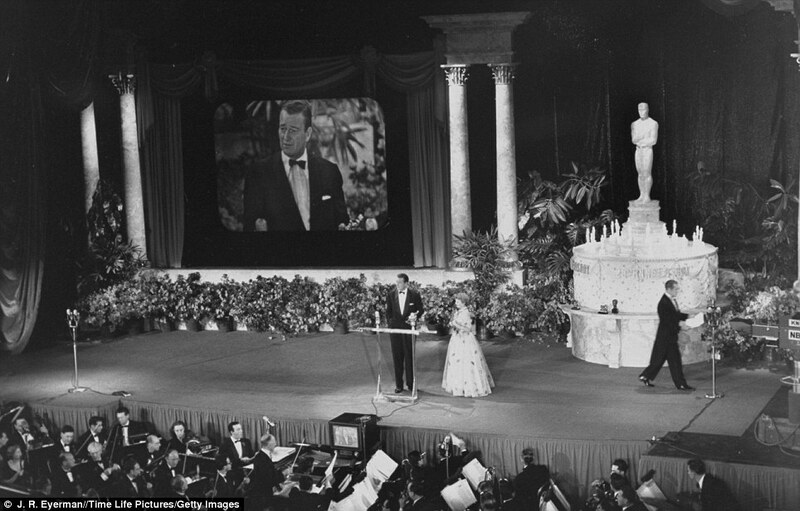 The 87th annual Academy Awards, or The Oscars as it has been coined since 2013, broadcasts just hours from now. 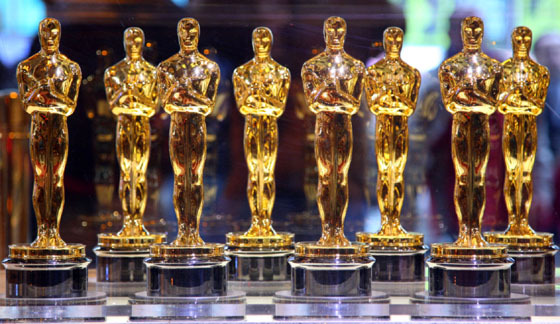 Many say this year’s line-up of nominees have all but secured the winners for the main categories. For Best Picture, initially buzz suggested BOYHOOD will be the clear winner. 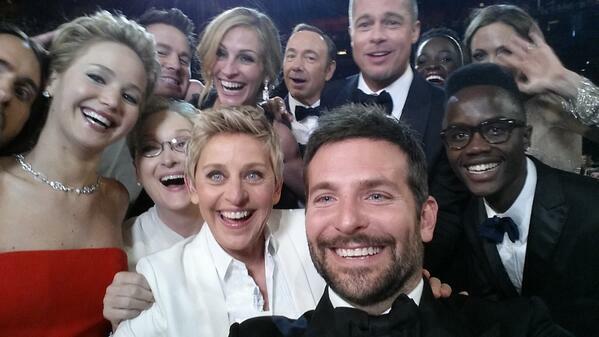 Based on ticket sales some main streamers are vying for AMERICAN SNIPER. But most recently BIRDMAN seems to be the favored choice. I’d prefer to discuss a Best Picture nominee that isn’t getting as much hoopla as its contenders, yet I believe it deserves a closer look. To be so profoundly moved by a film and yet trepidatious to scribe a review may sound bizarre. 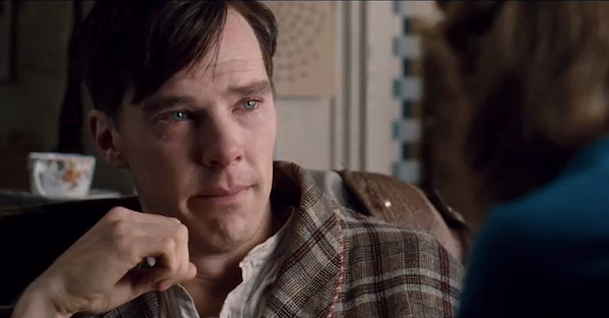 But that’s exactly what I faced after screening Morten Tyldum’s THE IMITATION GAME (2014). The reason is simple. 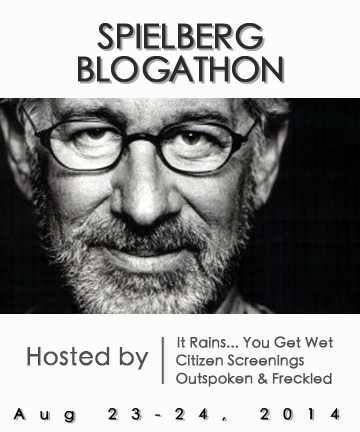 I didn’t want to spoil what I experienced for fellow film goers by giving away key points. And yet my desire to express my thoughts on this wondrous film is too strong to keep all to myself. So, here we go. 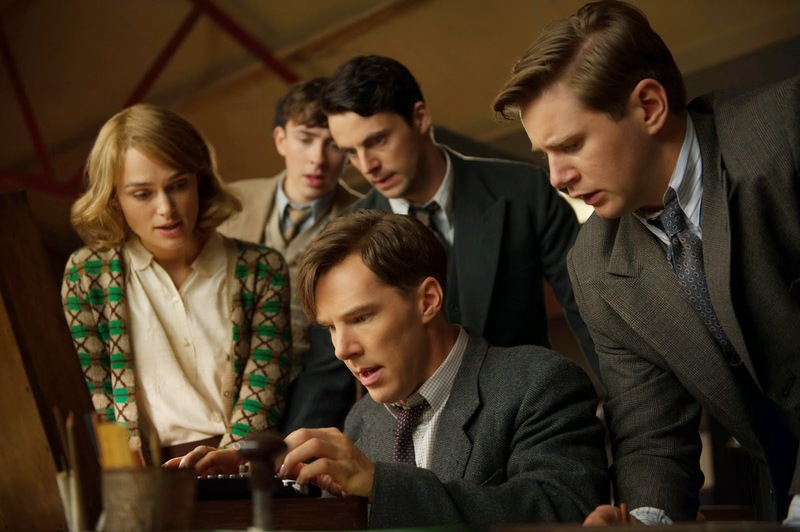 THE IMITATION GAME (2014) is the true story of Alan Turing (portrayed by Benedict Cumberbatch), not your ordinary run-of-the-mill, socially-challenged, genius code-breaker. It’s WW2 in England. Hitler and his evil forces are hammering hard and have the upper hand thanks to an ingenuis machine built to incript coded messages, aptly named ‘Enigma’. So her majesty’s top military enlists a team of brilliant code-breakers of various strengths and dysfunctions. One of the teammates, Keira Knightly as Joan Clarke, has to be ‘snuck in’ under the guise as part of the secretarial pool because of the sexist code of the times. How on earth could an attractive young woman who is so brilliant that she beats the instructor’s record be seen using her brain to fight Hitler with a bunch of men when it’s her job to get married and birth babies, right? 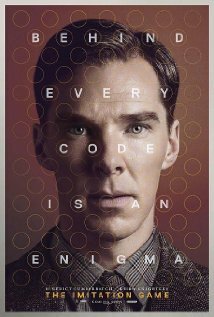 As for Turing, his introduction is reminiscent of Cumberbatch’s “Sherlock” character in his offensively socially unaware Aspbergers ways and equally brilliant. If he wasn’t so brilliant and so desperately needed, he would have been fired before he was hired by Commander Denniston (Charles Dance). The team soon discovers Turing doesn’t ‘play well with others’ and he ostracizes himself immediately. With an obsessive determination, Turing stays on task and the others eventually realize the genuis of his quirky methods. But the process to counter the Enigma with the ultimate code-breaking machine (the precursor to the first computer) of his own making takes time. During these years, obstacles present themselves. In these sexist times, Clarke feels pressure from her family to fit the female stereotype so Turing agrees to an engagement so her family doesn’t deem her an old maid and she can continue working on the project. Clarke and Turing work well together and respect each other but there’s no love chemistry- he agrees to the arrangement as a matter of necessity and convenience. Meanwhile, a spy is suspected and later discovered to be in their midst. 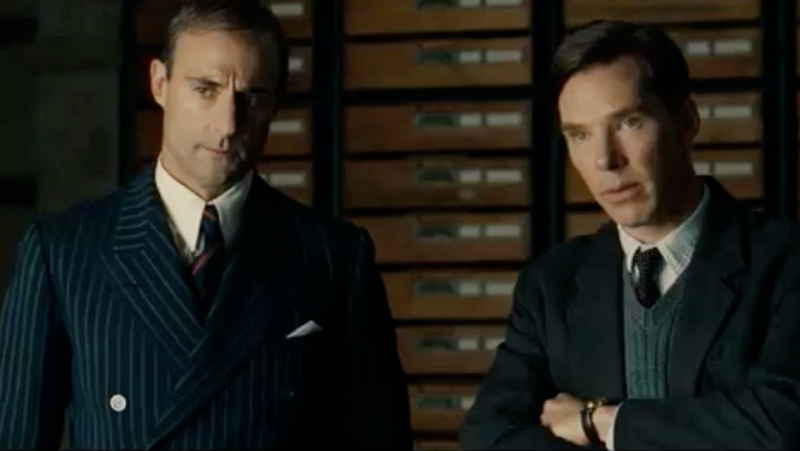 When Turing discovers the traitor, he is forced to keep it secret as British Intelligence follow the Soviet spy’s work. And throughout the entire project, Turing gets constant pressure from Commander Denniston threatening to shut him down and he eventually succeeds. But not before Turing’s wonder machine ultimately works, just in the knick of time. And to keep the Nazis from upsetting our Allies’ tracking, this team must keep it all very secret; even after the war’s end, including destroying all evidence of its existence and never taking credit. As if this journey was not a fascinating enough peek into landmark events of our past, the rest of the film reveals an ugly side of history that many before this film were unaware. When I asked my more tech-savvy friends, they had already heard of Turing’s contributions to computer science, but not of the details of the extensive obstacles and secrets Turing endured but more specifically not of the injustices he faced regarding his homosexuality. The ‘spoiler’ here that many like myself did not see coming was that Alan Turing, shortly after creating an intregal force in stopping Hitler, was forced to take chemical castration as punishment for his sexuality in order to continue his work. His code-breaking machine was named after his secret boyhood crush that was a sad tale in itself. And while his friend and collegaue Joan Clarke attempted to help create a cover via a marriage of convenience, he needed to be himself. The Sexual Offences Act of 1967 was the legal step finally taken to decriminalize homosexuality in the United Kingdom. A legal righting of a grave wrong that sadly came too late. 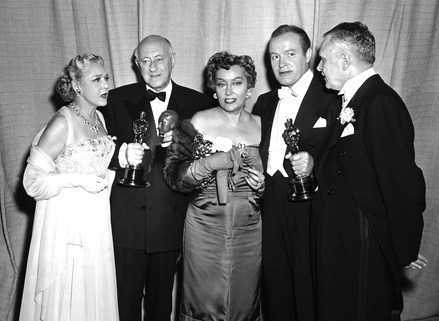 At the end of the film, after facing public shame of facing criminal charges for his homosexuality, after enduring years of extraordinary work with no credit, after enduring the hormonal effects of being a man placed on estrogen therapy, after years of keeping such deep war secrets of espionage that even his own team members were unaware, Turing ended his own life in 1954. This story is both heart-breaking and inspiring. What’s most fascinating about this biopic is that here is a man who was critically responsible for ending the European campaign in WWII and likely saving millions of lives, yet I had never heard of him in that context. And what’s worse is this man of such profound significance to our world, was stopped short of reaching even greater contributions simply due to bigotry. It’s the realization of that which opened the flood gates for me. As the credits rolled and the tears trickled down my cheeks, I wondered if he felt all alone. That perhaps his only true moment of feeling love and appreciation was in that boyhood friendship that yearned for more, or perhaps via his own obsessive tinkering- unfortunately both cases being essentially unrequited. A film that tells such a thought-provoking story and invokes such emotions, is certainly Oscar worthy. 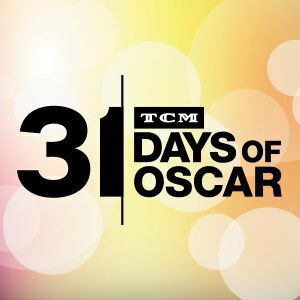 This post was written as a contribution to the 31 DAYS OF OSCAR BLOGATHON month-long celebration in coordination with TCM, hosted by Aurora of ONCE UPON A SCREEN, Paula of PAULA’S CINEMA CLUB, and Kellee of OUTSPOKEN & FRECKLED. 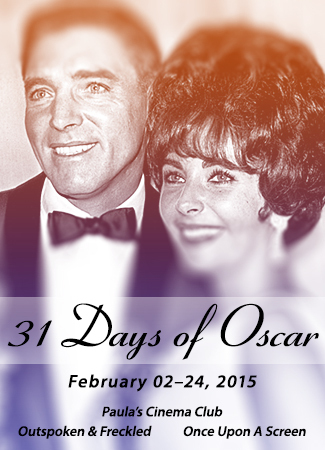 Check out all four weeks of informative and enlightening posts: ACTORS, SNUBS, CRAFTS, PICTURES/DIRECTORS. 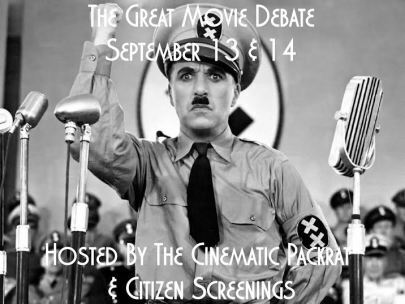 The following is part of the The Great Movie Debate Blogathon taking place September 13 & 14th, hosted by Aurora at Citizen Screenings and Tim at The Cinematic Packrat . 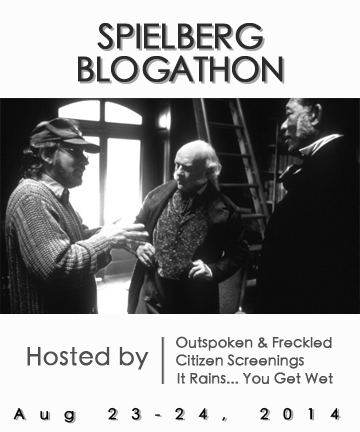 For this blogathon, we film bloggers were assigned with an interesting concept: choose a film and argue for or against it with another blogger taking the other side of the argument. Okay, so maybe I have yet to coerce a partner in crime to take the opposing side of my argument. But I did know it would be interesting for me to pick a film to oppose. After all, I tend to mostly write about the films I enthusiastically support in a positive tone. So what a nice change of pace to pick a film I loathe. In that spirit, I humbly offer you, AVATAR (2009). James Cameron’s AVATAR (2009) is one of those films that created a great deal of buzz when it was released. At a whopping budget of $237,000,000, this film turned out to be a record-breaker and became the highest grossing film in history, surpassing 2.5 billion dollars. Realizing that, there’s a distinct possibility I will be in the minority on this but I’m willing to stick my neck out anyway. I’d say my first beef with AVATAR (2009) lies in how deja vu it all is. Does this story seem familiar to you? It should. Besides being such an obvious formula film, it doesn’t even try to enhance a tired out plot used before. Some say it’s a repeat of POCAHONTAS (1995), or FERNGULLY: THE LAST RAINFOREST (1992) or DANCES WITH WOLVES (1990). Yes, yes, and yes. You know… it’s where the main character is a guy (generally a caucasian male) who is part of a larger group of people (aka invaders) trying to destroy or harm the living space or way of life of an indigenous group’s community and the main guy falls for an indigenous female, in the midst of his people trying to destroy her people. Some how the end is supposed to be a message of “why can’t we all just get along” or “because I can suddenly see this indigenous gal as ‘normal as me,’ why can’t the rest of us and I guess we shouldn’t destroy her home and society” or something along those lines. Despite this beloved plot, that has been repeated countless times over, history proves that our behavior in real life seems to reject this notion of better understanding. Racism and imperialistic attitudes continue on. But I digress. When they over-CGI a film, I feel a disconnect to the film. That is unless the filmmaker takes the time to pay as much attention to the plot and the characters. [Example of CGI executed better (to me): Peter Jackson’s KING KONG (2005) worked well because Naomi Watts characterization made me believe this beast was worth the emotional investment and the storytelling was done right with constant nail-biting, adventurous plot details, despite already loving the 1933 version so much.] Otherwise, it feels like the kid who has the coolest gadget in the neighborhood but refuses to let anyone else play with it. We become uninterested because we don’t feel like we’re involved. 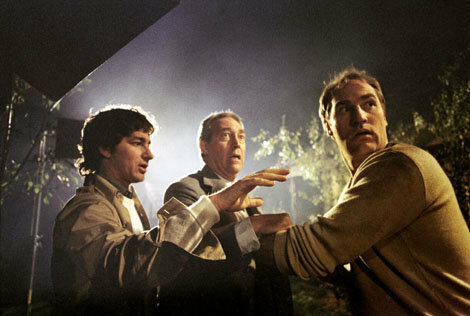 Great filmmaking still makes an emotional connection through authentic characters and great storytelling. For many, August signals the ending of summer. 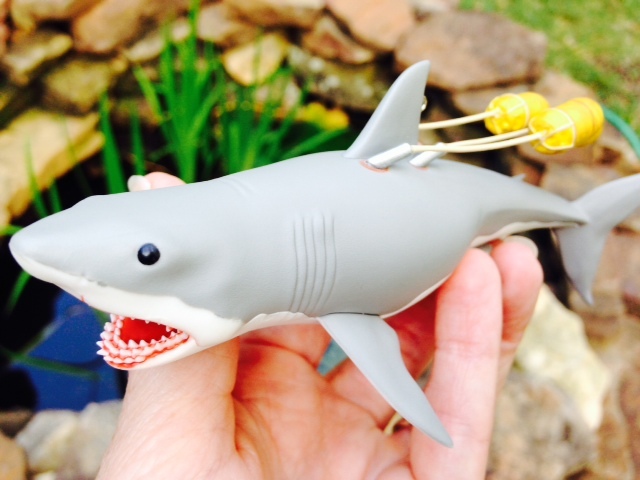 One of the fun ways this August celebrates summer is via sharks, sharks and more sharks. Sharknadoes came back with a sequel vengeance when “Sharknado 2” aired on SyFy channel recently and became a national, albeit majorly campy, phenomena. August 10th, Discovery Channel returns in it’s 27th season of the very popular “Shark Week” and “JAWS Week” just completed it’s swim on AMC Channel. With all this shark action on the little screen, one can’t help but consider how much Steven Spielberg kicked off a firestorm and created a national fascination due to his film JAWS (1975). 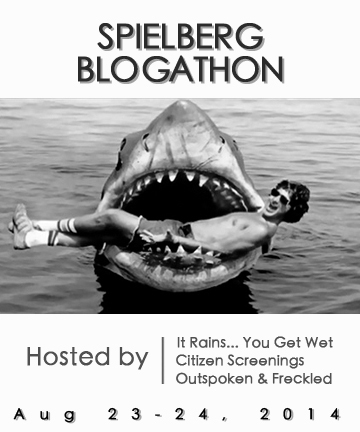 Not his first film and hardly his last, mega hit JAWS (1975) was just the beginning for Spielberg. Taking on everything from aliens, adventure-seeking archeologists, battlefields in WW2 to the Holocaust, director/producer/writer Steven Spielberg has become an American institution via the silver screen. 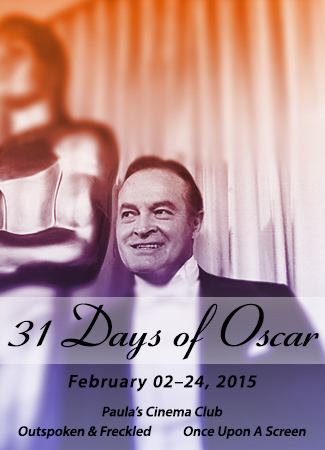 According to imbd he has directed over 52 films and produced over 144 and continues his constant pace today. A prolific filmmaker to be certain. But more importantly, so many of his films became part of our American experience- thanks to his signature style of weaving in very heartfelt and little “real” moments into every film. 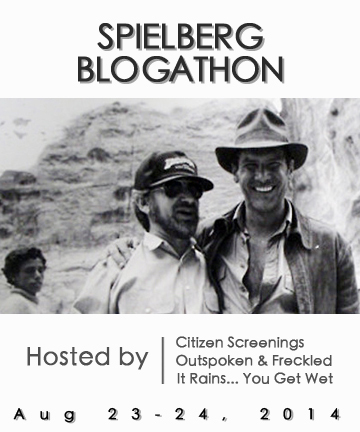 With so many wonderful Spielberg offerings, why not bid adieu to summer with a SPIELBERG BLOGATHON? 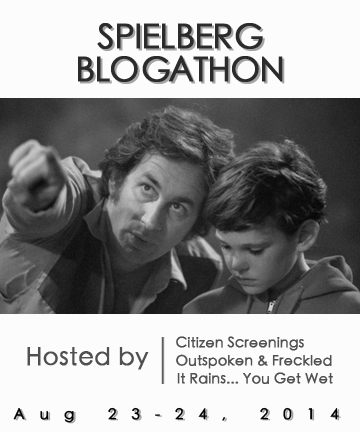 So Michael of IT RAINS… YOU GET WET aka @le0pard13, Aurora of CITIZEN SCREENINGS aka @citizenscreen and I, Kellee of OUTSPOKEN & FRECKLED aka @IrishJayhawk66, are paying homage to this beloved master of cinema with a blockbuster blogathon to end the summer with a BANG! 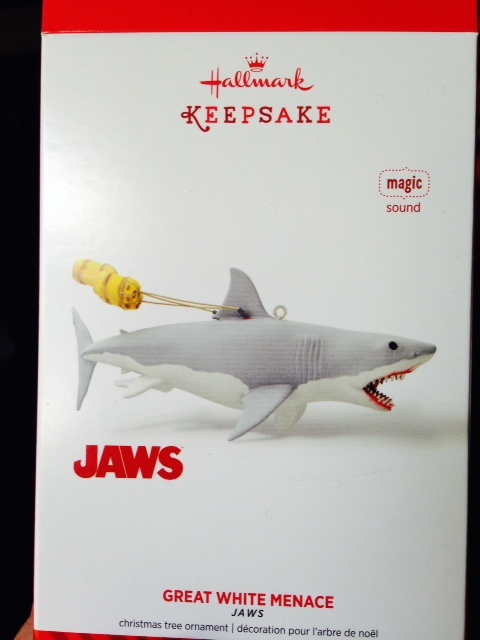 *As a special treat, we are giving away a fun gift… a JAWS 2014 Hallmark keepsake ornament ~ with the unforgettable John Williams theme sound effects! 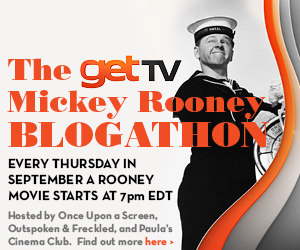 All participating bloggers will be automatically entered into the drawing. 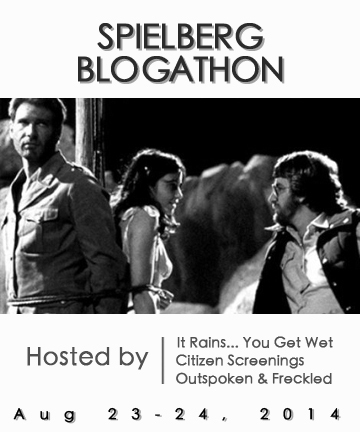 Sadly, only people living in the domestic United States are qualified to win(apologies to our friends living in Hawaii, Alaska or outside of the U.S. ) Winner will be randomly selected, announced following the blogathon event, then contacted to so we can ship directly. 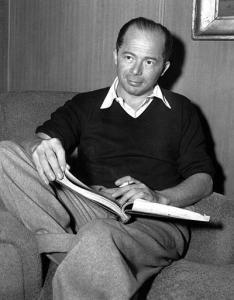 Filmmaker Billy Wilder was a genius because he looked through the camera lens and typed words on the keys with a different perspective than most. His skew was wittier, and richer in layers of character development. 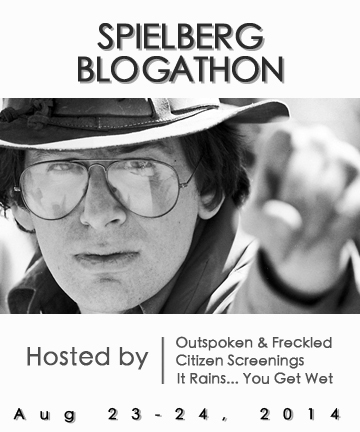 Today we celebrate him with this blogathon humbly in his honor. 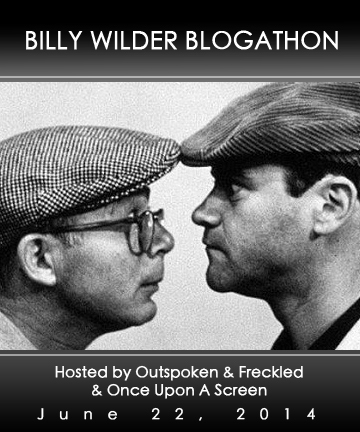 Along with co-host Aurora of ONCE UPON A SCREEN and yours truly, we are delighted to bring you these talented bloggers’ contributions with all things gone Wilder… enjoy! We will update more AWESOME posts throughout the day so be sure to check in frequently. 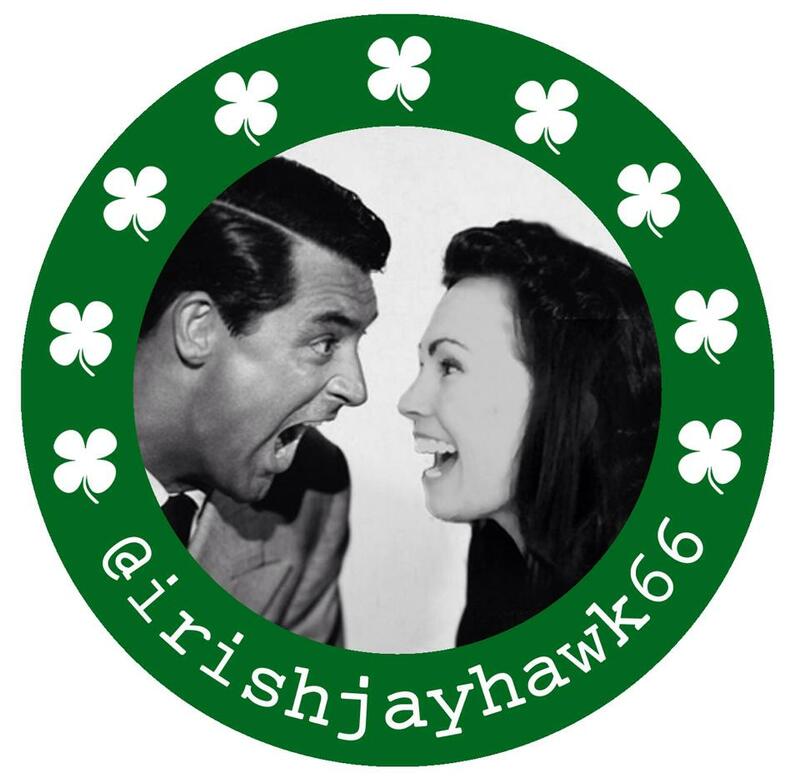 You’ll also see us post on FB and on twitter at @IrishJayhawk66 and @citizenscreen. We encourage you to read all the posts and leave commentary if you can. Kudos to all of our hard-working and talented participants!! We writers derive great pleasure from feedback… so we truly THANK YOU!